It is very common for tenants to request their landlords to allow a roommate to move in. There can be a number of reasons for this request. The tenant might be finding it hard to pay all of the rent on his own and wants a roommate so that they can share the rent. Another possible reason might be that the tenant is looking to have his/her girlfriend/boyfriend to move in with them. Whatever the reason, it is the landlord who has to decide whether to grant or deny this request. The following are some things you need to keep in mind before you make your decision. You must screen the roommate in the same manner as you screened your current tenant. Do not simply take the word of your tenant about his recommendation for a roommate, but follow the same screening procedure that you had earlier used. 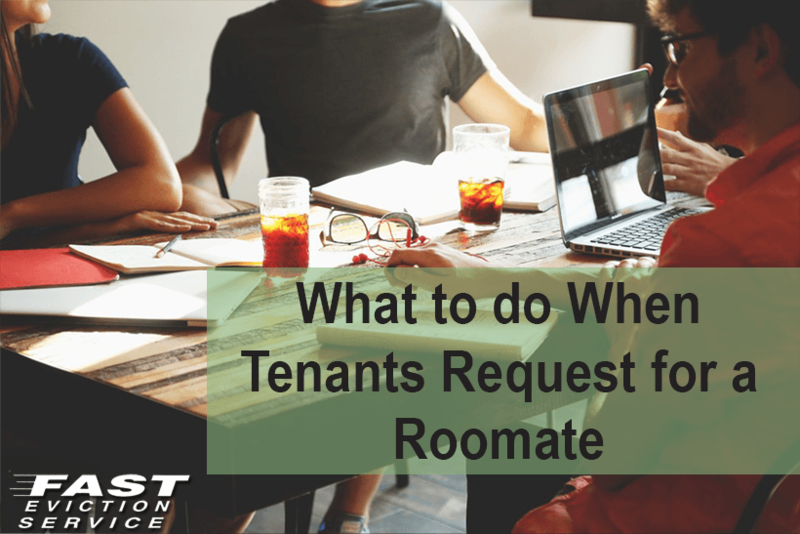 Ask the prospective roommate to submit references and credit and rental history along with a rental application. Do your research on the roommate and verify if he/she is fit to live in your rental property or not. It is important that you come up with a new tenancy agreement if you choose to approve the roommate request of your current tenant. This will help you in ensuring that both the tenants become equally responsible for taking care of the rental property. Moreover, it will also ensure that the roommate is aware of all his rights and responsibilities as a tenant. Compatibility is a very serious concern when it comes to co-tenants. As a landlord, it is in your best interest to ensure that the tenant and his/her roommate are on the same page when it comes to sharing the rental property. This is important because if the roommates disagree with each other then the tenancy won’t last long and you might end up losing both your tenants. Do remember that you have the right to deny the roommate request of your tenant. You have the power to decide whether a prospective roommate is fit enough to be your tenant or not. If you find anything suspicious about the roommate then you can deny the request of the tenant. Your current tenant might not like this but it would be better than having a co-tenant that does not pay rent on time or creates trouble for you. Make clear as the landlord that you are considering their request to have a roommate move in to be in the best interests of everyone involved. The introduction of a new person into a living situation can change the dynamics of the prior tenants who are already there, and possibly cause them to move out of issues emerge. The decision to allow the new roommate not only affects the person asking for the change, but all tenants the space is jointly shared by. It’s essential to be certain everyone is on board with the new situation and is included in the decision to request a new roommate or it can easily cause problems down the road if they are not.